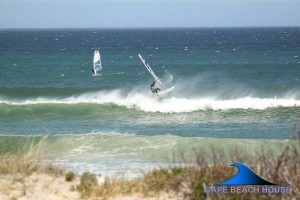 Cape Town is famous for its all year round windsurfing conditions. 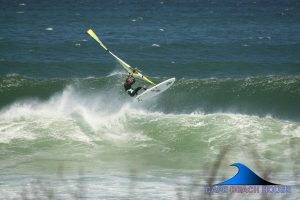 From September until April the South Easter is blowing with some of the best windsurfing conditions in the world. In front of the house is a great spot called Milnerton Lighthouse which is good in a southerly wind and medium sized waves. You can rigg in front of the house and launch from the beach. Some of the best wave sailors in the world have stayed with us, such as Victor Fernandez (current world champion), Klaas Voget, Marcilino Brown and Craig Gertenbach. Stefan, the owner of the house is a very active windsurfer, surfer and SUP er and can give loads of advice regarding conditions in the area.